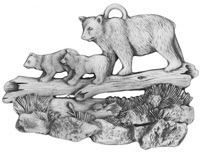 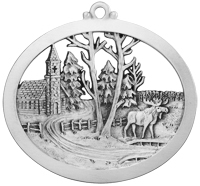 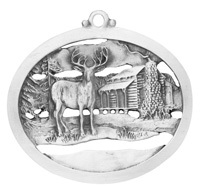 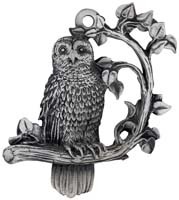 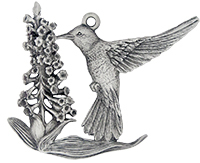 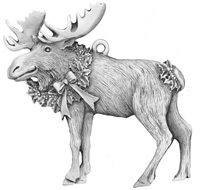 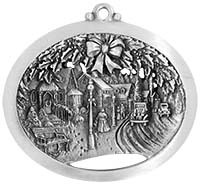 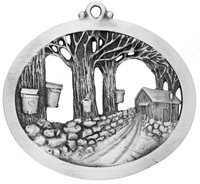 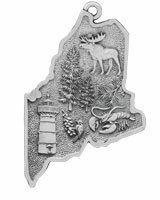 Maine state symbols depicted on a detailed pewter ornament in the shape of the state. 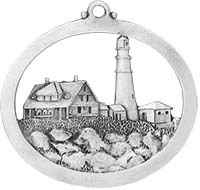 We have two famous lighthouses in Maine as well. 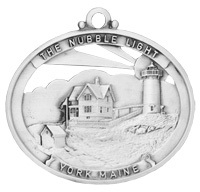 Nubble lighthouse is a favorite across the country. 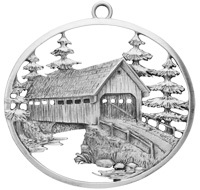 Choose from any of these winter scences from Maine and throughout New England.